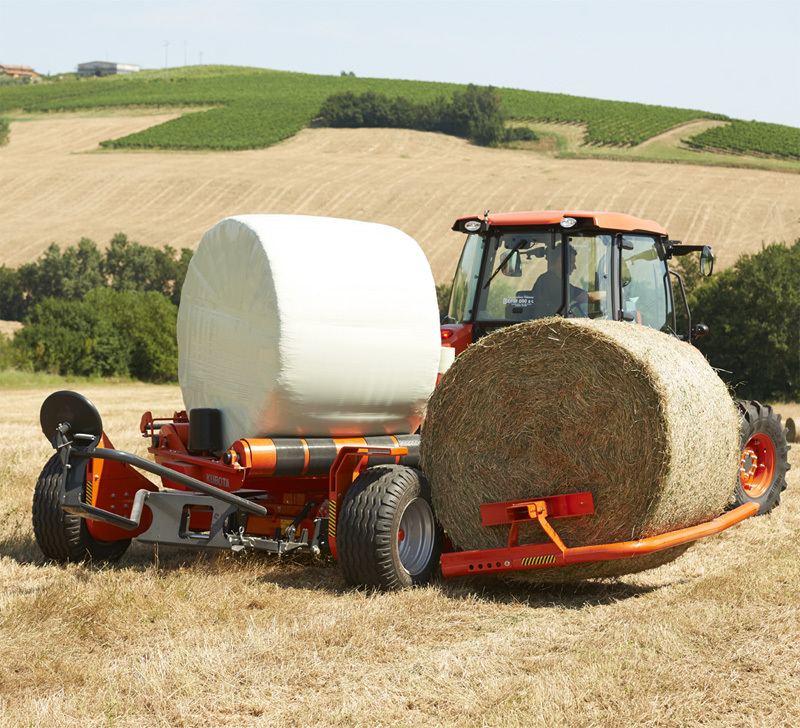 The trailed Kubota WR 1600 is ideal for users that wrap large number of bales, but still prefer the turntable wrapping system. It is designed for high output operation even in rough or hilly conditions. 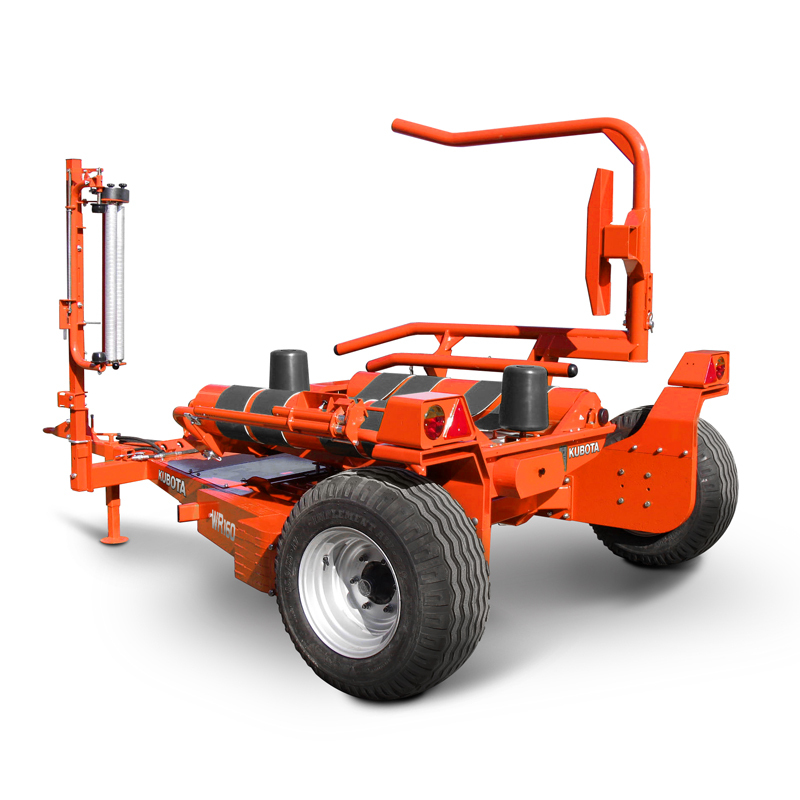 The Kubota WR 1600 offers a rugged design and is capable of handling bales up to 1400kg. Low profile design ensuring gentle and fast loading and unloading of the bales. Able to carry an extra bale on the loading arm. WR 1600 J is joystick controlled version, with semi-automatic operation. WR 1600 C, the computer controlled version with control box and joystick, offers fully automatic operation.